A man who led multiple law enforcement agencies on a high speed chase in Fort Fairfield in April was accidentally discharged from a Bangor hospital after the incident and remains wanted for arrest, according to Fort Fairfield police chief Shawn Newell. 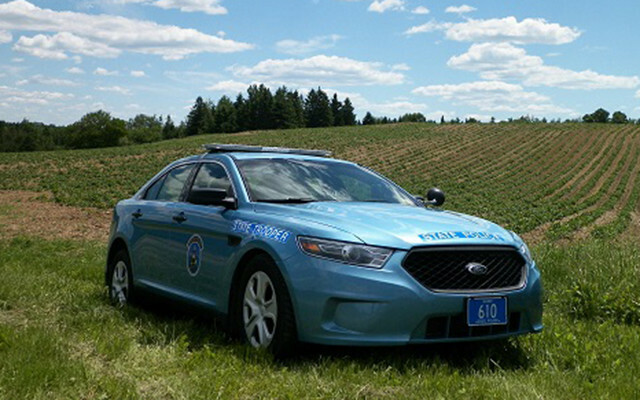 FORT FAIRFIELD, Maine — A man who led multiple law enforcement agencies on a high speed chase in Fort Fairfield in April was accidentally discharged from a Bangor hospital after the incident and remains wanted for arrest, according to Fort Fairfield police chief Shawn Newell. Prior to the chase, Lee was wanted on five outstanding warrants, including failure to appear in court on a theft charge. On Sunday, April 22, a Fort Fairfield police officer encountered Lee in the parking lot of Rite Aid, where the wanted man was operating a Chevy Malibu allegedly stolen from a town resident. When the officer tried to arrest him, Lee backed up the stolen car and nearly struck the officer and the patrol car, according to a press release issued in April by the Aroostook County Sheriff’s Office. Fort Fairfield officers pursued Lee and called on other law enforcement agencies, including deputies from the sheriff’s office and agents from the U.S. Border Patrol. Lee told a sheriff’s office dispatcher over the phone “that he was armed and was not going to surrender to officers peacefully,” according to the sheriff’s office release. In the course of the chase, Lee also attempted to force a Caribou police cruiser off the road, police reported. The chase ended when a Border Patrol agent used a tactical maneuver with his vehicle to stop Lee about two miles from where it had begun. The stolen vehicle stopped near Deputy Sheriff Roy Guidry, who ordered Lee to show his hands and exit the vehicle, according to the press release. When Lee refused and started to reach between his legs, Guidry fired a bean bag that broke the vehicle’s side window and struck Lee, according to the release. Lee was taken to The Aroostook Medical Center in Presque Isle with injuries that were not considered life threatening and later transferred to a hospital in Bangor. A “lapse in communication” at the hospital “resulted in Lee being discharged before he could be taken into custody,” Fort Fairfield Police Chief Shawn Newell said in an email Wednesday. Newell declined to identify the hospital. He said that Lee was transferred from one floor to another at the facility, and in the process, the staff were not notified of the need for law enforcement to take him into custody upon discharge. Newell said law enforcement agencies believe that Lee returned to his home state of Florida. Lee now has additional warrants out for his arrest stemming from charges connected to the car chase.